SMSC stands for spiritual, moral, social and cultural. All schools must show how well their pupils develop SMSC. Where do curriculum subjects fit in? Encouraging students to display consideration, cooperation, courtesy and respect to their peers and others. Providing students with the opportunity to be creative and develop a fascination for the subject/topic. English – Reflecting on the actions of a character. How might they react? Maths – Solving problems individually and in groups. Using data with moral implications e.g. crime statistics to encourage discussion. Science – Considering behaving morally i.e. our impact on pollution etc. Healthy eating and considering the kind of person we wish to be. Humanities – Reflecting on what they would do i.e. being called up to fight for their country. Arts – Exposing students to a range of cultural experiences and developing skills to appreciate them. Providing opportunities for creativity. MFL – Introducing students to another culture and considering similarities and differences. PE – Developing leadership and other team roles. Ensuring pupils are “good sports”! Encouraging students to push themselves and do something they could not do before! DT – Food can be linked to other cultures e.g. Bread. Activities can be collaborative especially in practical settings. In addition to Form Time lessons covering SMSC, which consider the evolution and importance of democracy in Great Britain, all young people are actively encouraged to voice their opinions. Students have the opportunity to have their voices heard through our Student Leaders Programme and active Student Voice. Pupil Perception activities such as questionnaires and interviews are also undertaken regularly. 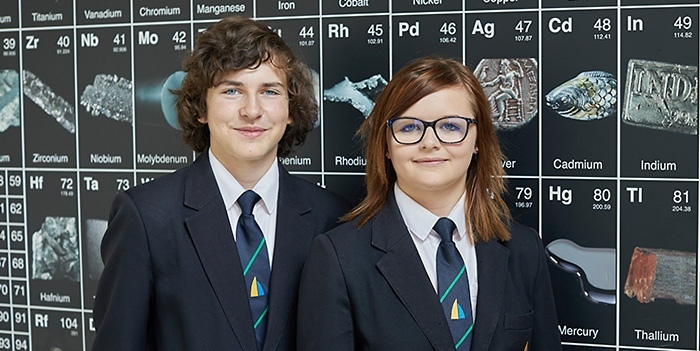 Within the classroom students are given opportunities to work collaboratively with each other and we actively foster an environment where young people feel “safe” to take risks in their learning. This includes questioning and challenging the views of others. General Elections etc. will provide the academy with a further opportunity to engage in a range of democratic processes, in particular a wide-ranging form-time programme. The views or parents and other stakeholders are regularly sought through a variety of questionnaires and meetings. For example, we have an active Middle Leader Board, regular Staff Forums and a number of Parent Focus Events/questionnaires take place throughout the academic year. The importance of the rule of law are regularly reinforced across the academy. As well as the academy Behaviour for Learning Policy and regular assemblies, students are taught the value of our legal system as part of their Form Time provision. This includes a knowledge and understanding of the consequences when laws are broken. Visits from external organisations, such as the Police, are regular occurrences in the academy and strengthen this message. Through the curriculum students learn to understand the meaning and importance of liberty. 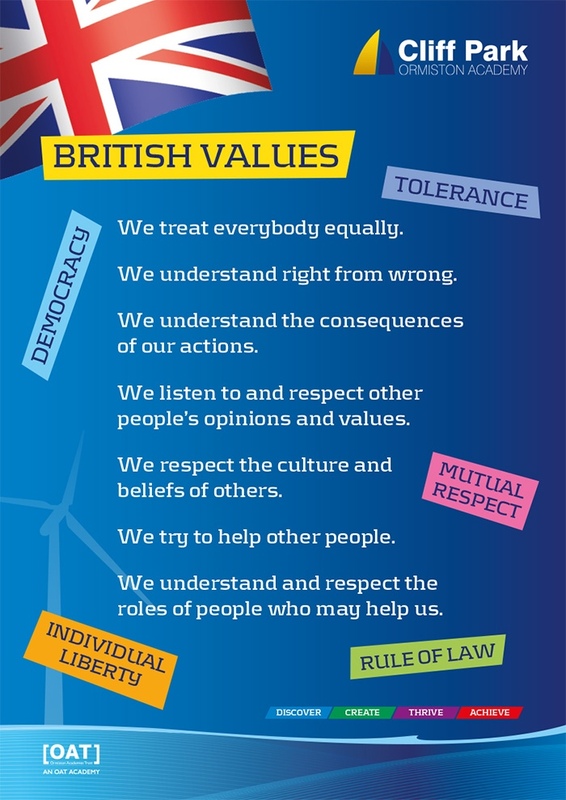 For example, in Form Time lessons they learn about religious freedoms within Great Britain, in History they learn about civil rights and slavery and in ICT they consider laws such as, Copyright etc. The academy has an inclusive philosophy with pupil and parent questionnaires confirming that the overwhelming majority feel safe and secure. Bullying and extreme views in any form are condemned, with regular opportunities taken to reinforce this message and remind students how to stay safe. Indeed, whilst pupils are encouraged to know and understand their rights, they are also encouraged to recognise their responsibilities and to consider how they do both safely. E-safety, for instance, is incorporated into ICT lessons and is supported by our revised ICT User Policy. Students are always encouraged to report any concerns they may have to the Pastoral Team. Finally, students are actively encouraged to make choices. In particular, an options process allows them to choose which courses they would like to continue with. All students have the choice of a wide range of extra-curricular and enrichment activities which are reviewed on a termly basis. The academy actively promotes the value of “respect”. This is reiterated through our Behaviour for Learning Policy, as well as our curriculum and ethos in general. In particular, students are regularly involved in form time activities that explore a deeper understanding of religious beliefs and cultural diversity and which consider exactly what “respect” and “tolerance” means in practice. The academy has a number of excellent cultural visits and our students lead on fundraising events for local, national and international causes.